The Dell PowerVault MD3800F is an excellent storage solution for the IT Professional’s need for fast, high volume, and scalable storage at a low cost. Also the MD3800F comes with some of the best in Fiber Channel technology with Quad 16Gb Fiber Channel and Dual SAS ports per controller. This allows any business utilizing a fiber network the flexibility to get the speed and connectivity they need out of their Storage Area Network (SAN) Array. This intelligent and powerful storage array also offers higher volume storage capacity with 12 Large Form Factor drive bays, compatible with either Solid State Drive or Hard Disk Drives, and supports Serial Attached SCSI (SAS) interface in both drive types up to 8TBs per drive. With a smaller 2U footprint, the MD3800F also gives 4U level storage volume with significant reduction to an IT Professional’s cooling and power costs, making it an excellent fit for datacenter storage. Aventis Systems offers Basic, Advanced, and Superior Nearline SAS and SAS models for the Dell PowerVault MD3800F. All of our storage products also come with a 3-Year Warranty . Browse our selection below get the best in fast, scalable, and high volume storage with the Dell PowerVault MD3800F! 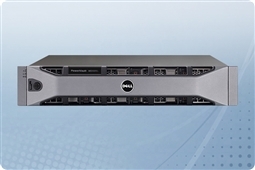 Curious if the Dell PowerVault MD3800f SAN (Storage Area Network) Fiber Channel array is right for your business continuity and budget? Check out our Survival Guide: Avoiding A Data Apocalypse today! Looking for different models or additional specs? Please browse our complete selection of Dell PowerVault and HP StorageWorks Direct Attached Storage and Network Attached Storage Arrays.